Key West is known for a lazy and relaxed atmosphere that embodies the island spirit and a peaceful way of life. However, that does not mean that all activities in this popular stop on the itineraries of many Western Caribbean cruises do not have anything to offer adventure seekers. In fact, quite the opposite! From diving deep to flying high, there are numerous Key West cruise excursions that are sure to please those seeking a thrilling adventure while ported in this island community. What’s more is that Key West comprises a mere eight square miles or so, therefore unlike many destinations along Western Caribbean cruises, there is not a lot of time needed for commuting to and from the excursion points. Hence, more time is available for riding the waves and coasting on air instead of sitting on a shuttle bus or hoping for light traffic in a taxi. This means that adventure seekers looking for Key West cruise excursions literally get the best of both worlds. They can have their adrenaline pumping adventure as well as comfort in the relaxation that they are less pressed for time trying to make it back to their ships. We’ve put together a list of the best five Key West Cruise excursions available for those with a sense of adventure, and whether booking them through your cruise line or on the internet before you, there is sure to be something on our list that will excite you! 1. Parasailing: Parasailing is a very common offering for guests traveling aboard Western Caribbean cruises, and this may be because an almost always perfect breeze is blowing that is ideal for gliding swiftly over the landscape, making it a perfect paradise for watersports. Most operators are located incredibly close to the port, and so guests can literally walk right over to the excursion jump off point. The time spent in air is brief, but the memories can last a lifetime, because DVDs and photographs are often available for purchase after your journey. These adventure tours are pricey and can be upwards of one hundred dollars per person, however they are very unique and offer a way to see the fun loving town of Key West from a bird’s perspective! 2. Jet Ski Tour Excursion: Although called an excursion, the Jet ski tour isn’t exactly an excursion as most would think, as the tour is private and doesn’t come with a guide. Either single or double riders can explore the coasts of Key West for over an hour, and some riders even come across a dolphin or two on their journey. It’s one of the more expensive offerings amongst Key West Cruise excursions, at nearly one hundred dollars per rider (there are cheaper rates available for couple however), but past guests do encourage other travelers to negotiate, particularly on slower days to perhaps haggle a better price for their high speed eco tours. 3. Kayaking: Key West is known for its coastlines, and there is no doubt that they’re some of the most beautiful in the entire world. However, the area also boasts other interesting landscapes such as mangroves and coral formations. This makes it a truly unique place to partake in some kayaking, where physical endurance meets rewarding and stunning scenery. Guests can not only see the wonderful living world around them while paddling their own kayaks, but also learn about it as well. Knowledgeable guides explain to excursioners a wealth of information about the living plants and animals in the area, and even take it a step further, by occasionally pulling a sponge or two out of the water for an up close look. These Key West Cruise Excursions are a great way to combine physical fun with tropical paradise and are ideal for those looking for a natural adventure. 4. Snorkeling: It’s almost impossible to resist getting into the water when surrounded by turquoise blue and sparkling sea. 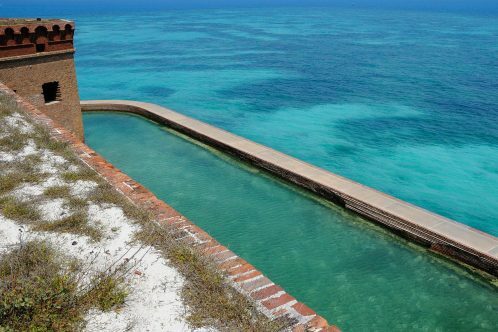 And, there is no shortage of opportunities to snorkel in Key West. Most tours take guests out to open water where a lively reef can be found. Visitors aboard these Key West Cruise excursions can run into interesting local residents like Tarpon, lobster, reef sharks and a wealth of brightly colored fish. Surprisingly, most snorkeling tours in Key West are not all day affairs and guests still almost always have enough time for dining and shopping in town before their time in the Keys is spent. 5. Scuba Diving: Scuba diving is not the first thing that people often think of when they think about cruises to Key West. However, since the destination’s switch to a common substitute for Grand Cayman, the activity has become more and more popular here. There are numerous different options for diving in this area, but some of the more adventurous options include shipwreck dives, and night dives (reserved for the truly brave and truly experienced diver). Of course, some of these options won’t be available during the times that cruise ship passengers are in port, but there are almost certainly scuba Key West Cruise excursions available to guests here year round.